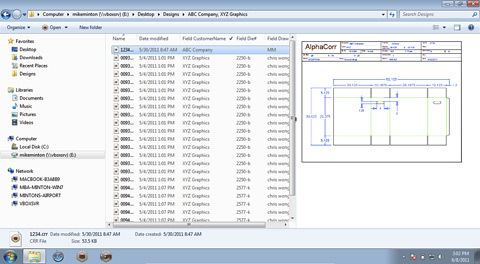 With AlphaCorr™ Rules™ and SteelRules™ you can now quickly locate structural packaging and point-of-purchase display design files from your CAD database with ease. 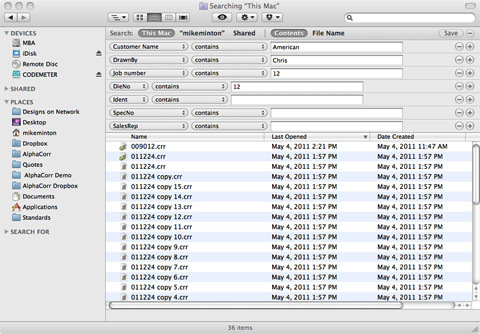 Using the power of Windows 7 or Mac OS X Spotlight (Leopard, Snow Leopard or Lion) you can search by customer, designer, job number, die number, sales rep and more. 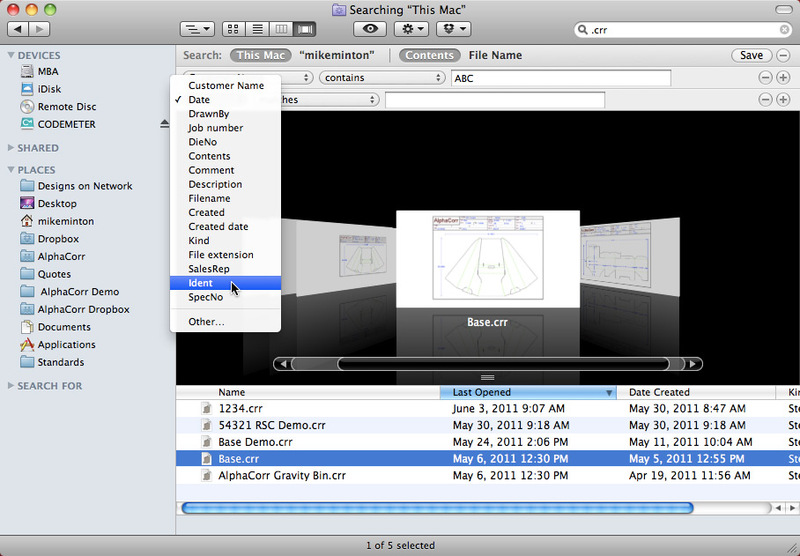 A preview thumbnail displays in the operating system browser for easy visual reference and organization. 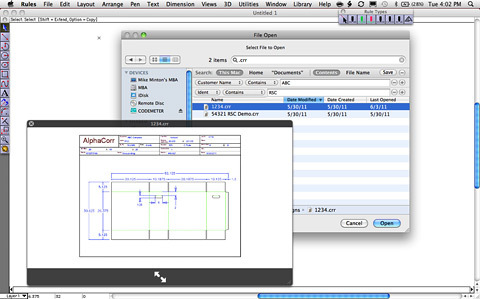 Having complete control over your design database has never been so good. 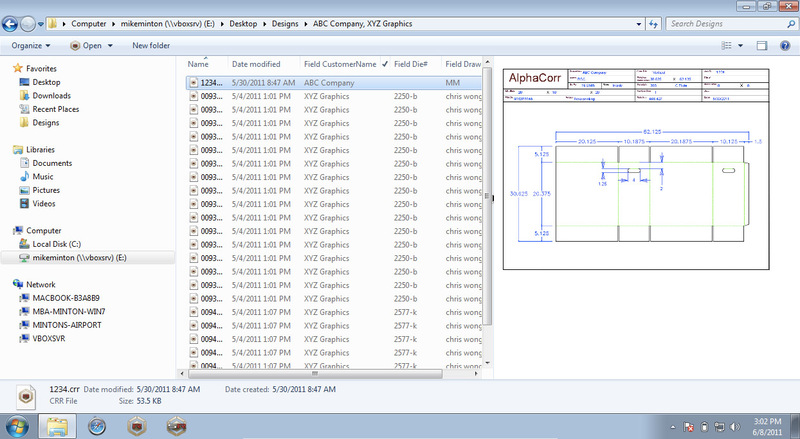 Use Windows Search to find AlphaCorr software packaging and design files. and packaging design files in AlphaCorr software. files using Mac Spotlight and Finder Cover Flow. 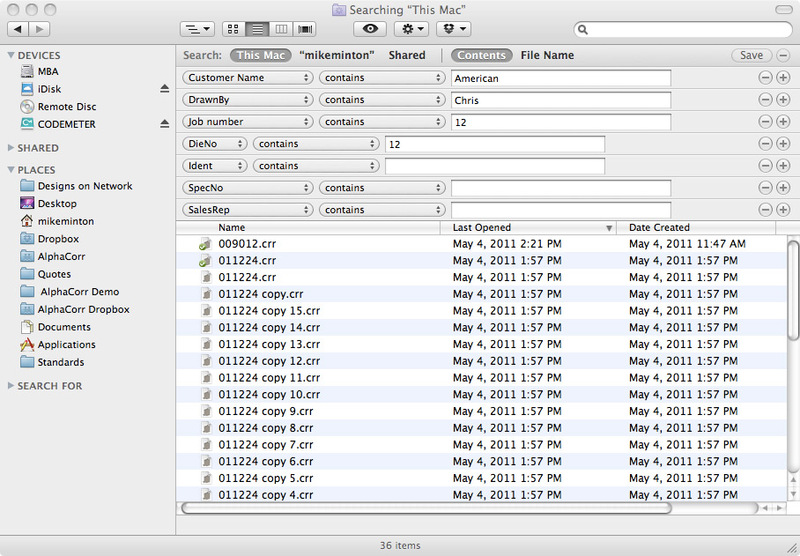 and packaging design files using Windows 7 Search. All Content Copyright © 2007-2019 AlphaCorr™, LLC.